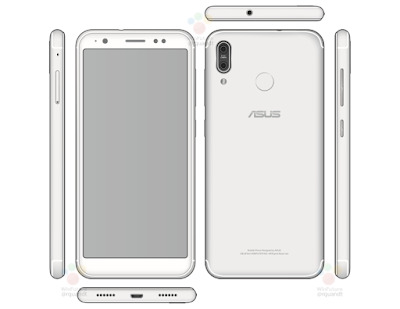 Asus to launch Zenfone 5, Asus ZenFone Max Pro (M 1) in March and Asus ZenFone 5z in June. 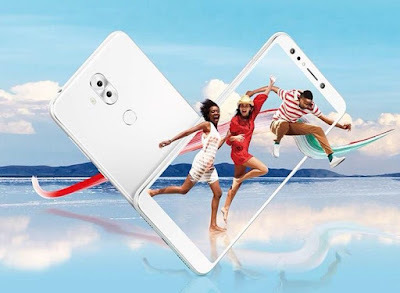 Asus at MWC to Zenfone 5 Lite with 18:9 Display, Quad camera Setup. 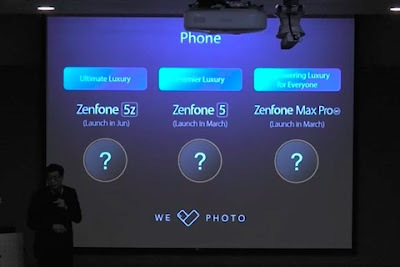 ASUS has divided the lineup of smartphones into "Ultimate Luxury" for the upper rank, "Premier Luxury" for the middle to upper rank, and "Empowering Luxury for Everyone" for the entry, and ZenFone 5z is Ultimate Luxury, ZenFone 5 Is classified as Premier Luxury and ZenFone Max Pro (M1) is classified as Empowering Luxury for Everyone.